Given Fiji’s location and relative size, it serves as an important hub amongst its South Pacific neighbors, it’s positioning consolidated with the recent redrawing of the major international shipping channel from Asia to Australasia via Fiji. Fiji recorded positive growth in the last three consecutive years, 2010-2012, with growth outcomes improving every year. The domestic economy was estimated to have expanded by 2.2 percent in 2012 after growing by 1.9 percent in 2011 and 0.1 percent in 2010. 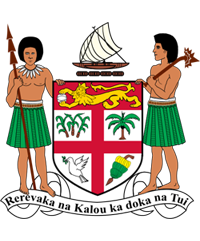 In 2013, the Fijian economy was forecast to grow by 3.6 percent, with the exception of the mining and quarrying sector, the growth outlook for 2013 is expected to be driven by all other sectors including the manufacturing, communication, wholesale & retail trade, agriculture construction, financial intermediations and the transport & storage sectors. The economy in 2014 is forecast to grow by 3.0 percent. A broad based growth is projected for 2015 with significant contributions expected from the agriculture, manufacturing, construction, wholesale & retail trade, financial intermediation and transport & storage sectors. The 2014 Budget of 40 percent increase in capital expenditure and 16.2 percent in operating expenditure will provide further stimulus to boost investments and consumption spending in the economy. Growth levels for 2015 and 2016 have both been forecast at 2.4 percent, expected to be driven mainly by the agriculture, manufacturing, wholesale & retails trade sectors whilst moderate contributions are expected from other remaining sectors. Inflation was estimated at 3.0 percent by end of 2014. Some inflationary pressures were experienced in the early part of the year due to supply disruptions after the cyclone and adverse weather conditions. Higher prices were also noted for food and alcoholic beverages during the third quarter. For 2014 and 2015 inflation is projected at 2.5 percent and 3.5 percent respectively. Fiji has a Sovereign Rating of B1 and B from Moody’s and S&P respectively.On average, Fiji’s foreign reserves are normally sufficient to cover 4 to 5 months of retained imports of goods and non-factor services. Economic prospects for most of Fiji’s major trading partner economies continue to be positive. Fiji’s major trading partners are Australia, New Zealand, the US, Eurozone, Japan and increasingly Chinaaside neighbouring Pacific Island Countries. In 2013 total exports declined by 5.2 percent largely due to lower re-exports. However, domestic exports are expected to grow by 3.3 percent led by garments, timber, sugar & molasses, fish, fruits and vegetables. In 2014, 2015 and 2016 total exports are expected to grow by 5.2 percent, 4.9 percent and 3.5 percent respectively on account of anticipated increases in all major export categories. Imports in 2013 are forecast to grow by 9.6 percent led by all major categories of imports. The notable increase in imports mirrors the current hike in domestic demand and investments this year. This broad-based growth in imports is forecast to continue into medium-term. In 2014 and 2015 imports are forecast to grow by 3.9 percent and 3.1 percent respectively while a 3.2 percent growth is anticipated for 2016.